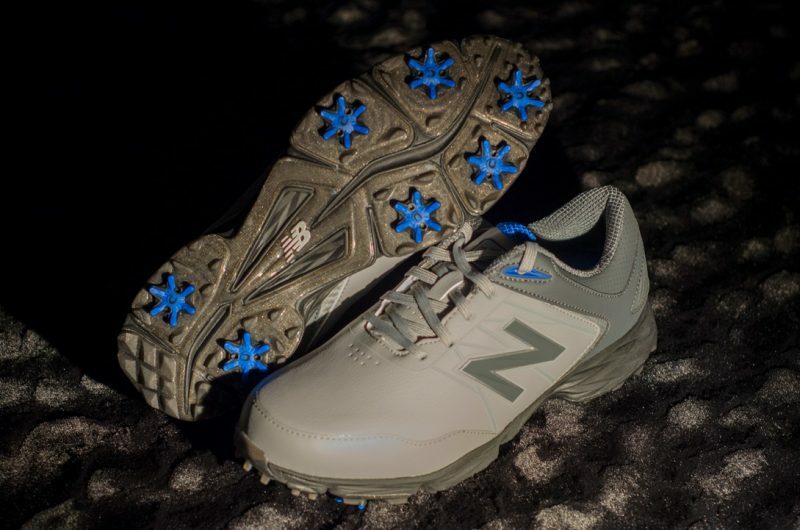 In for review here at Hooked on Golf Blog is a pair of New Balance Striker golf shoes. 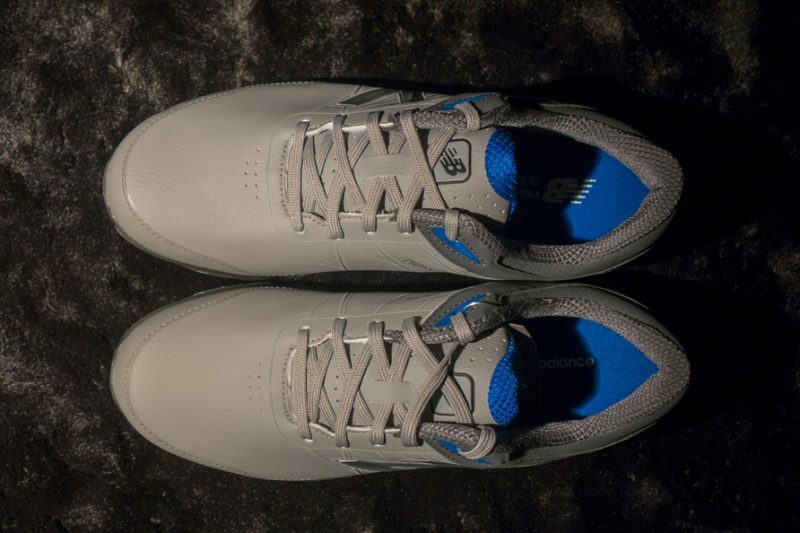 I’m glad to get a New Balance product in for review. 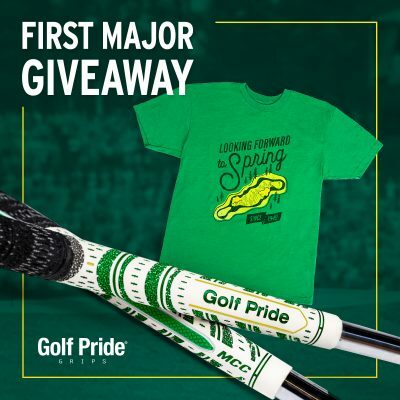 This makes the first New Balance product to be reviewed in the 14 year HOG history! I’m excited to get on it. 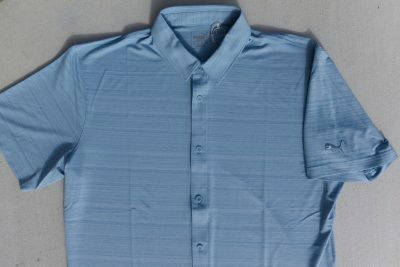 Here are a couple of preview photos. As most HOG readers will know, I don’t do the 3-range-ball, fly-by review. 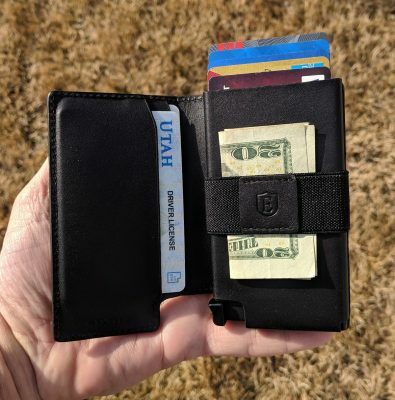 I do a quick preview post (this post) and then begin testing the product for several weeks or even months before writing the final review. As it is winter here and there’s snow currently falling outside the HOG World Headquarters, I may not get to my in-play testing of the New Balance Striker shoes very quickly. Stay tuned for the full review to appear in the spring. Last season while training for my Scotland trip by walking many golf rounds on some very hilly courses, I learned more about foot support than I’d ever hoped. The combination of my likely overdoing the walking with shoes which had minimal arch support caused an arch injury in my right foot. After consulting some foot specialists I found out I’d given myself Plantar fasciitis, inflammation of the band of tissue connecting the heel bone to the toes, which supports the arch of the foot. I had to change out my shoe inserts and replace them with expensive replacements which provided better arch support. Fortunately the inserts helped, and I was able to walk the entire 125 miles in Scotland without hurting my arches, or even irritating them. I’ve found now that my feet seem to be more susceptible to Plantar fasciitis, and walking even short distances in shoes which don’t have enough arch support causes me instant pain. Thankfully I’ll be putting the Aline foot suspension system into play to help with this. 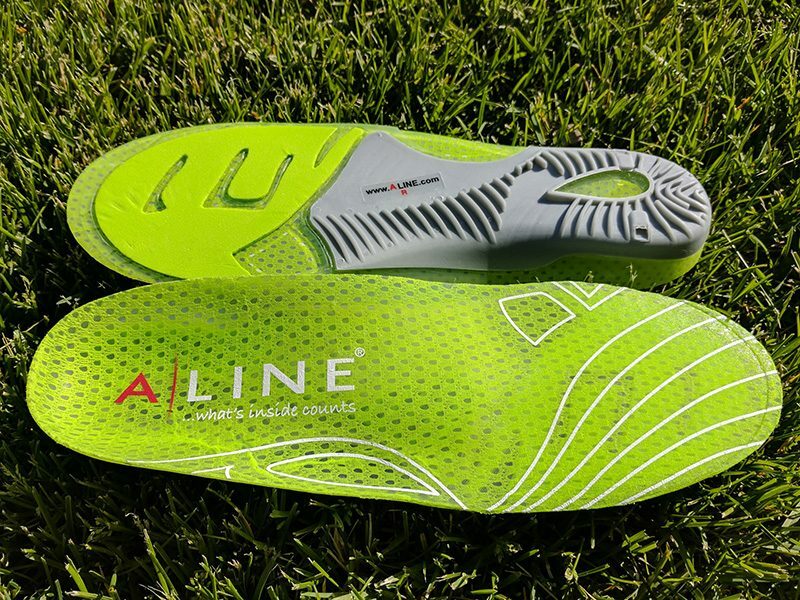 Aline makes many different models of shoe inserts which aid in support and body alignment for athletes, including these specially designed for golf. The golf model’s technology is designed to help support the golfer and put him/her in the best position athletically to make a golf swing. Do they work? Stay tuned for my full report after I’ve had a few weeks of testing. I have high hopes. I need to walk a lot this season for my health, since about the only other exercise I get right now is clicking a mouse button. I dislike wearing shoes and socks when it’s hot here in the desert. 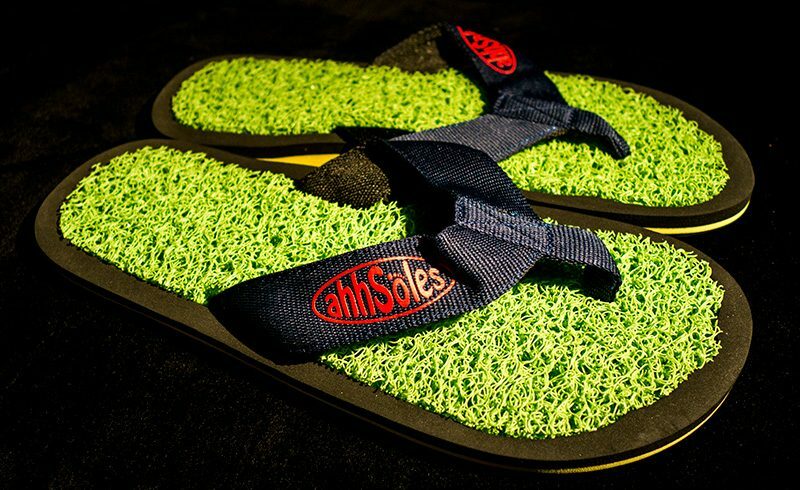 My shoe-less, sock-less après golf footwear scripting looks to be solid for this summer, thanks to ahhSoles. “aahSoles?” I see what you did there, LOL. 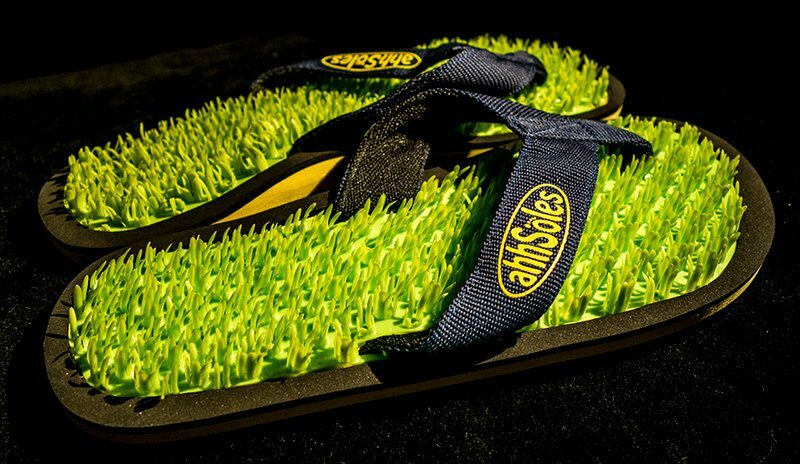 It’s a little too cold at the moment to think about flip flops. The big snow we got over the weekend has melted though, and I hope to be golfing later this week. Soon here in northern Utah it will be hot, and I normally like to air out the feet after walking 18 holes. Stay tuned for my aahSoles review soon. My shoe queue is getting a little out of hand. Thankfully spring is here and I can start getting to these reviews. 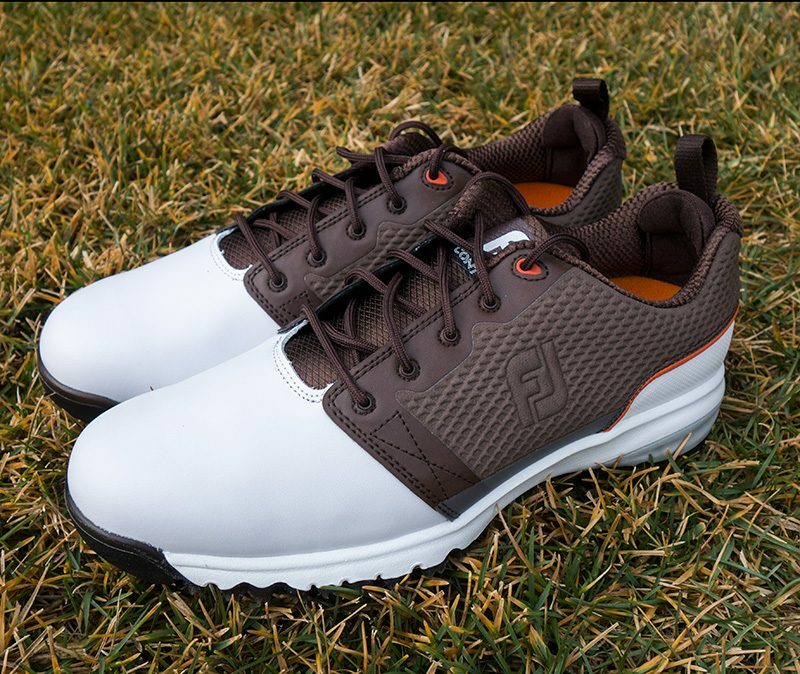 One of the new items on my review list is the Puma Titantour Ignite golf shoe. 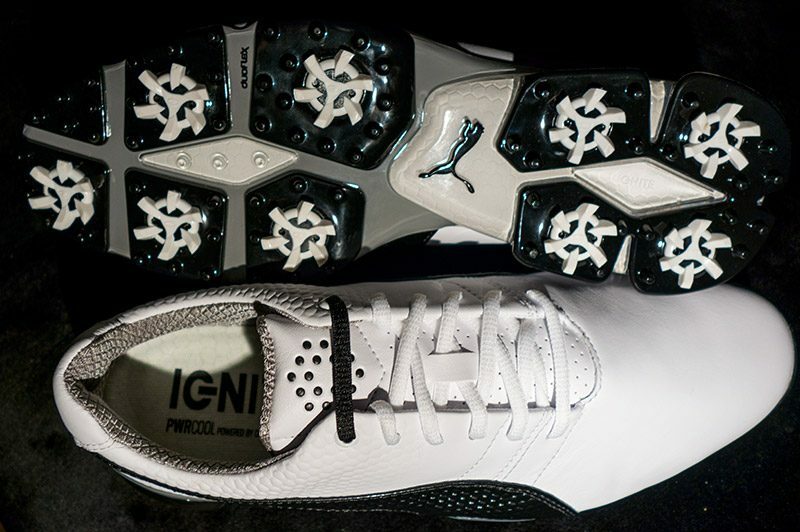 The Puma Titantour Ignite is Puma’s latest tour shoe. 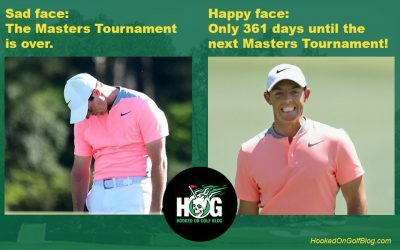 Typically the word “tour” means the ones the pros use in tournaments. 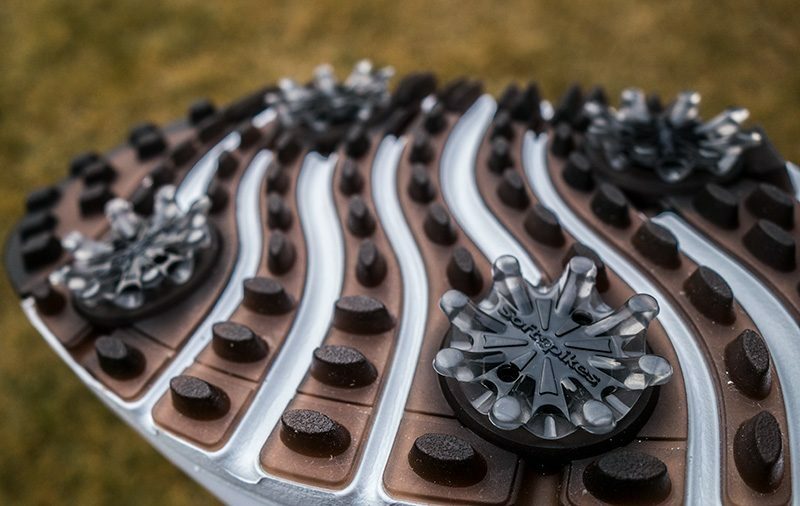 These are fine looking spiked shoes which come with the “Ignite” foam inside. This is very much intriguing to me as I intend to walk most of my rounds this year to get more exercise. After yesterday’s walking round my right knee was sore (different shoe) so I’m hoping some shoes with good cushion and low impact help. Plus I’ve got an upcoming Scotland trip. The last trip to Scotland I walked nearly 110 miles in a week on the golf course. 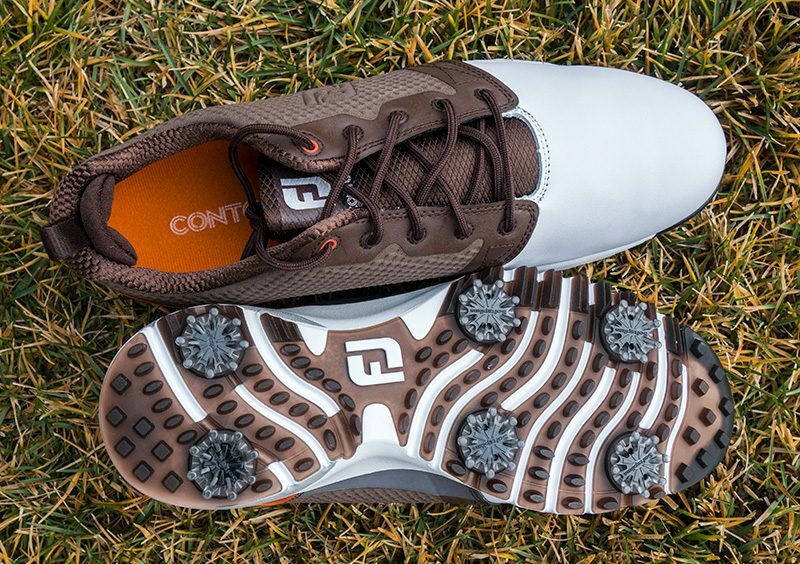 These are 2nd in my queue and I’ll be posting my full review of the Puma Titantour Ignite Golf Shoes in roughly 3-4 weeks after having a chance to fully test them on the course. Stay tuned.